TWITTER: For ceremony updates follow us @MarineScholars and connect with us by using the hashtag #MarineScholars. ALEXANDRIA, VA, (July 27, 2018) The Marine Corps Scholarship Foundation announced it will award a record-breaking $7.7 million in academic scholarships to over 2,330 children of Marines and Navy Corpsmen for the upcoming 2018-19 academic year. This news ensures that deserving recipients in all 50 states have access to affordable post-high school, undergraduate, and career technical education programs. The historic announcement will be celebrated during the Scholarship Foundation’s National Scholarship Announcement Ceremony at the Marine Barracks in Washington, D.C., on August 1. Notable Marines and supporters who will be in attendance and speaking at the event include Medal of Honor Recipient Sergeant Dakota Meyer USMC and Heather Golczynski, the widow of Staff Sergeant Marcus Golczynski who was killed in action in Fallujah, Iraq, in 2007. A powerful, iconic photo of their son, Christian Golczynski, was captured at SSgt Golczynski’s funeral and circulated around the world. Today, with the help of the Scholarship Foundation, Christian is a junior studying Management Information Systems at the University of Alabama. 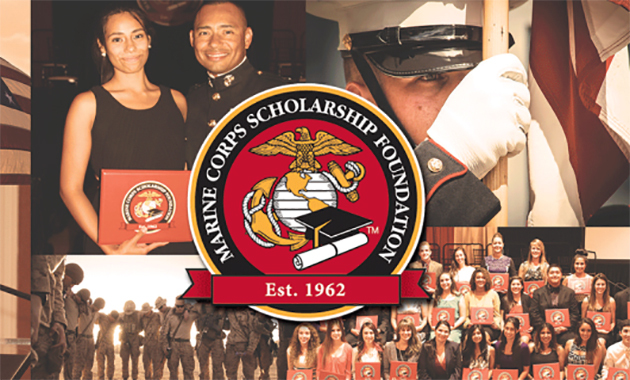 Raised on the Marine Corps values of Honor, Courage, and Commitment, the Scholarship Foundation’s Marine Scholars are on the front lines of our nation’s future. With a 90% overall graduation rate, 50% of scholars representing first-generation college students and over 45% enrolled in STEM and health science fields, the 2018-19 scholarship recipients outpace national performance averages in the classroom and beyond.